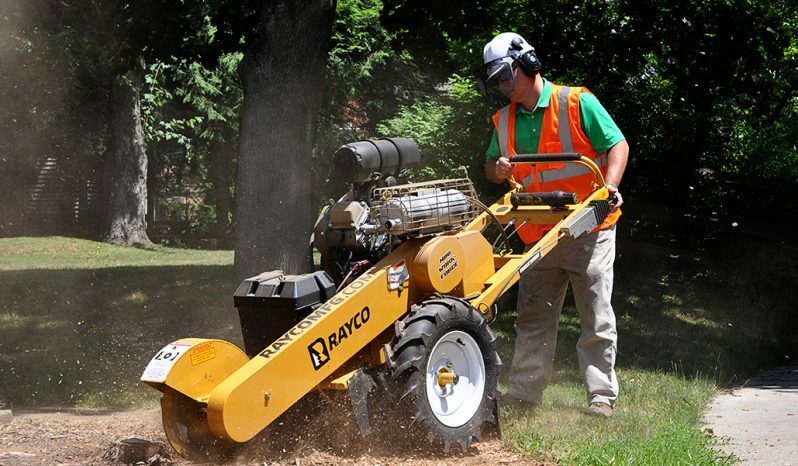 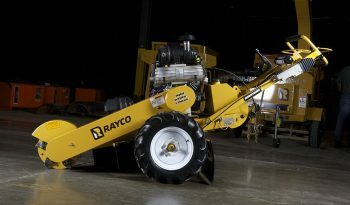 For over 20 years, Rayco’s Mini Work-Force line has been a staple in the rental equipment market and with professional contractors looking for a compact stump cutter. 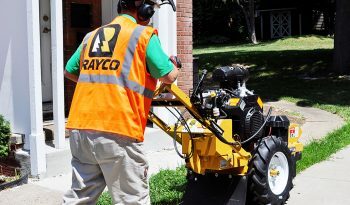 Their commercial grade construction and long history of service means you can count on Rayco to be there for service needs, year after year. The RG25HD is the largest model in the Mini Work-Force line up. 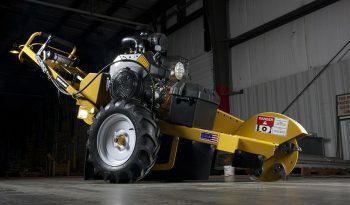 This unit is powered by a 23 hp Kohler Command engine featuring electric start and a Donaldson, dual element air cleaner. The RG25HD is self propelled, making it the best choice for traversing up and down hills, trailer ramps, mounded landscaping, etc. 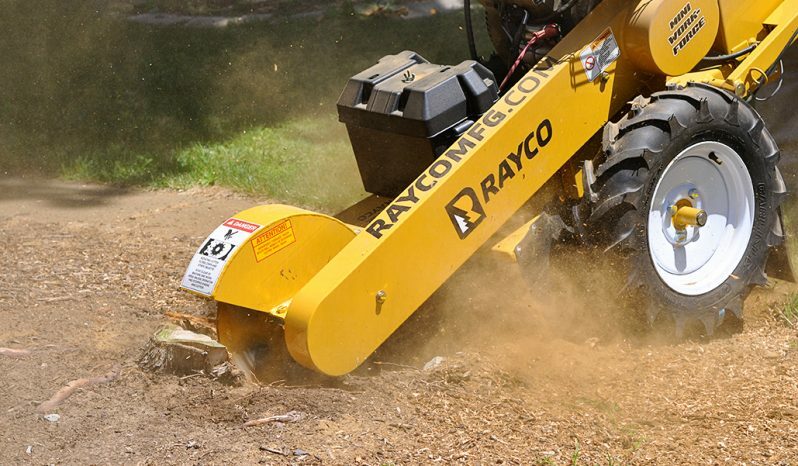 Large tires roll over chip piles and obstacles easier than competitors’ low-profile tires. 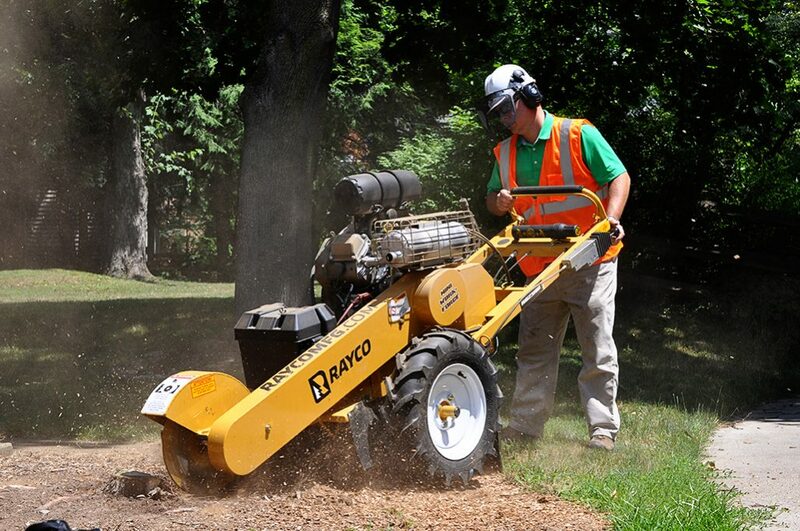 The narrow profile of the RG25HD allows it to fit through 30” gates. 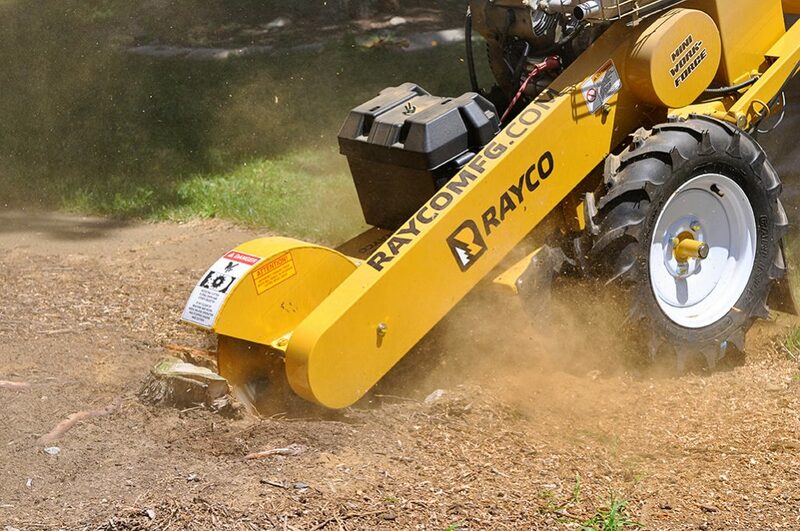 Convenient handlebar adjustment allows operator to select height depending on the conditions. 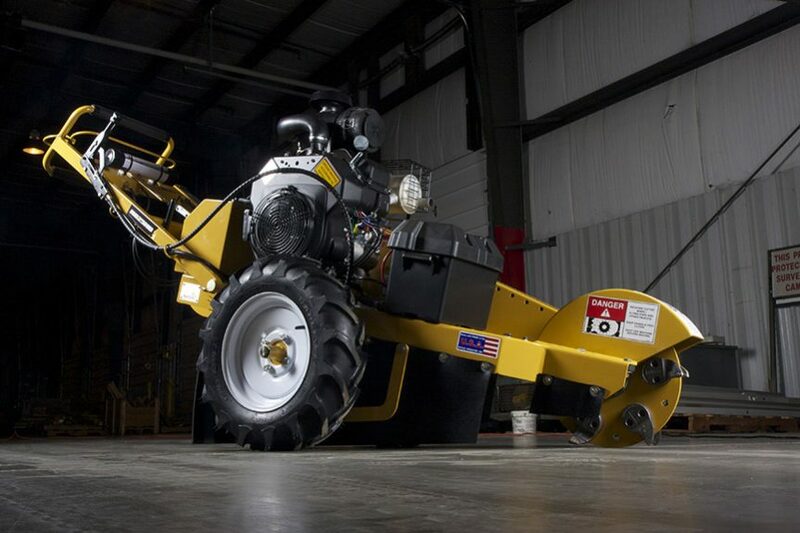 An electromagnetic clutch engages the cutter wheel at the flip of a switch. As with all Mini Work-Force models, the RG25HD has a powder coat finish and 2 year warranty.